This boss can be found just beyond the Profane Capital bonfire. Take the ladder on the outside of the tower down, cross a bridge, and enter the building ahead. The lone hallway in this building leads to Yhorm's room. *** Spoiler - click to reveal ***The Yhorm battle involves a gimmick. 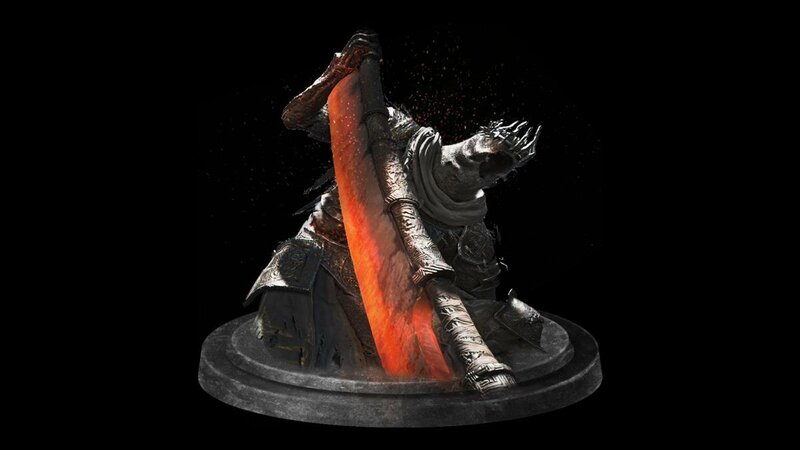 There is an item at the base of Yhorm's throne- a sword called the Storm Ruler. This weapon's charged attack deals massive damage. To do it, you need to two-hand the weapon, then hold down for about five seconds and you'll see it charge up, then press (while still holding ) to release a powerful ranged attack. Note that if you properly progress Siegward of Catarina's questline, he will help you in this battle.